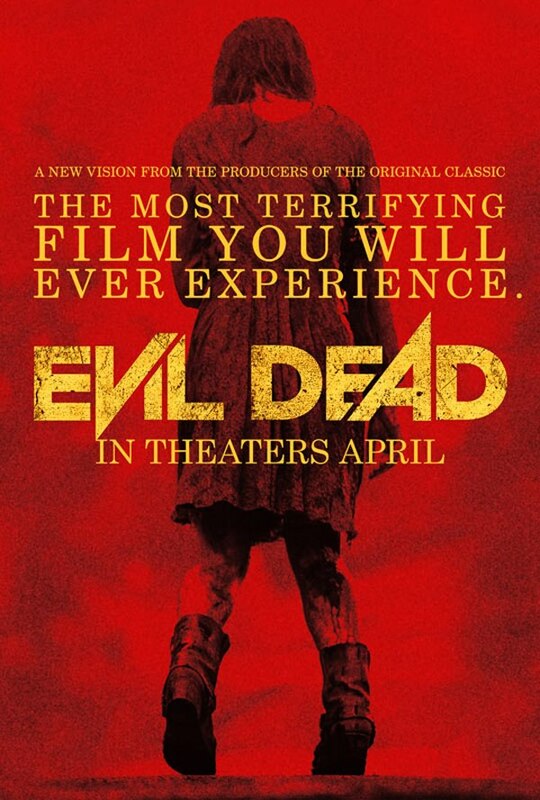 Evil Dead Will Swallow Your Soul, Y’know – In A Fun Way! Mia: You don’t understand. There was something in the woods…and I think it’s in here with us…now. To bring some up to speed, I am a huge fan of the original Evil Dead trilogy. These films, directed by Sam “Spider-Man” Raimi and starring Bruce “Don’t Call Me Ash” Campbell, are ones that I watch every year in a marathon session and are known as cult favorites among many horror film fans. 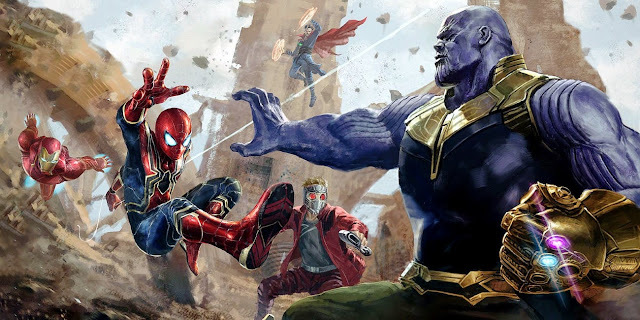 The idea of a remake could have been seen as sacrilege for a fan such as myself, but the fact that Raimi, Campbell, and producer Rob Tapert were behind the idea and heavily involved with the production made me hopeful. Given how the film played out, my optimism paid off, as this new Evil Dead is a wild ride that holds onto the spirit of the original, while amping up the quality of the blood, gore, dismembered limbs, vomit, and overall terror we see, thanks to the latest in modern technology when it comes to making this kind of movie. All of this and the film still managed to combine characters who take this stuff seriously with the wild and crazy fun seen in the film’s direction. 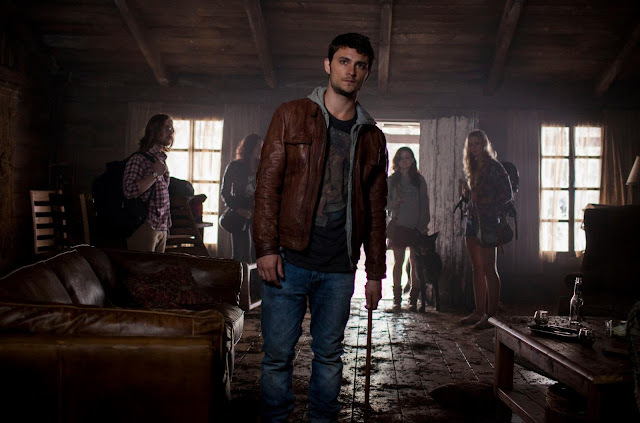 Evil Dead starts off with a familiar story, as five friends head to a remote cabin in the woods for a weekend-long trip. The reasons are a little different than normal however, as the purpose of this trip is to get Mia (Jane Levy) to stop doing drugs, by way of a “giving it up cold turkey” approach. Mia is joined by her friends Eric and Olivia (Lou Taylor Pucci and Jessica Lucas), her brother David (Shiloh Fernandez), and David’s girlfriend, Natalie (Elizabeth Blackmore). The cabin they all stay in is an old family property (or at least some kind of timeshare), that David and Mia grew up with. Now, as much as an issue it is to keep Mia from doing something drastic as she goes through withdrawal, much, much worse things are in store for these people, as a trip to the cellar leads to the discovery of a book wrapped in barbed wire. The obvious thought would be to not open, let alone read from this book, but just that is done and it unleashes something very evil from within the woods. Soon, everyone in the cabin is subject to pure terror via possession or brutal attacks from those who are possessed. One can only hope that these people brought a change of clothes, because things are going to get messy. After having watched the film, I can see what the appeal was in remaking the first film (and incorporating several elements from its sequel). Given that the first film was made by amateurs and starred amateurs, it is not surprising that the acting seen is not great and the effects are certainly dated. The real strength that remains intact for The Evil Dead is Sam Raimi’s frenetic direction. That film is fantastically innovative with its use of the camera and the overall intensity of its production. Evil Dead fortunately has a few good things in its corner, going in. 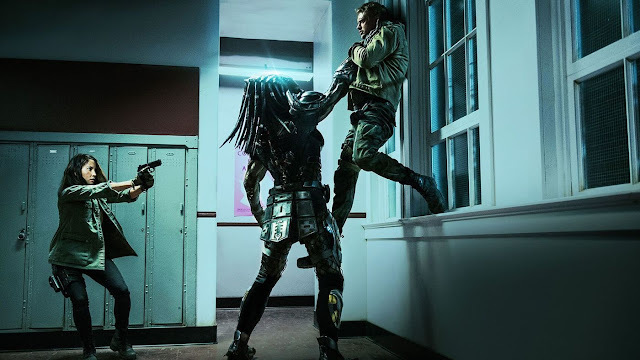 The film has actors with experience, a big enough budget and improved technology to make the nasty stuff look proper nasty, and a lot of inventiveness from director and co-writer Fede Alvarez, who is clearly a huge fan of the franchise. What this new film lacks in the way of true inventiveness, it makes up for in its overall “go for it” attitude that is quite present throughout. Alvarez has a good handle on how to make this a new and unique take on the series that is scattered with references to the original film, for sure, but certainly stands on its own and is readily accessible for everyone…who is a fan of very gory horror films. 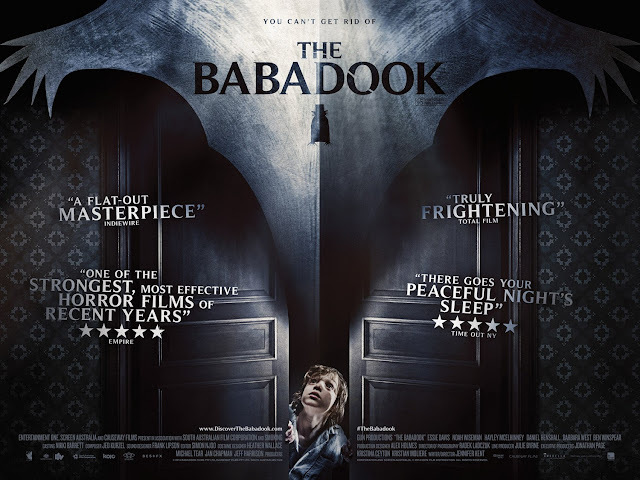 I may have seen this sort of story before, but it is presentation that is key and the work done to make this a pretty horrific film is very effective. For being such a dark and serious minded film (and I will address this in a bit), there is a great level of energy in it, which really keeps the film moving, as we witness some pretty crazy stuff going on in this cabin. Alvarez adds many of his own stylistic touches, such as the way he drops all sound in some instances, has the camera move fluidly in obscure manners, different from Raimi's ways, and finds places where he can just let his camera observe the horror occurring. With that, he also replicates some key shots, such as the POV shots of the woods, which many fans love. Maybe one of the biggest compliments I can pay to Evil Dead is how I did not think of Cabin in the Woods, while watching it. I will say that Cabin in the Woods, one of the best films from 2012, set up certain points of view in regards to horror movie and how to regard them, ruining many in their wake in some instances, given how familiar certain plots and the threats involved are. 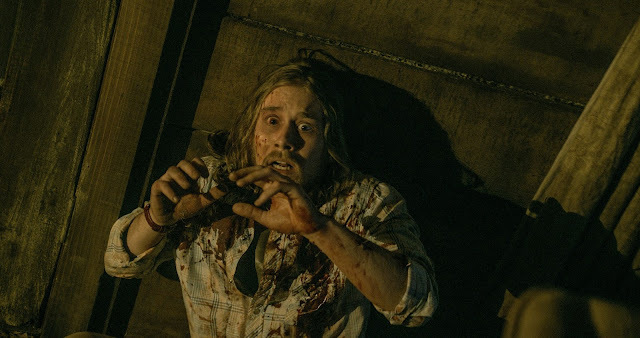 Sitting through Evil Dead, I was not so much concerned with the thesis statement-turned horror film, conceived by Joss Whedon and Drew Goddard, so much as I was concerned with whether or not a girl would be alright, after forcing a box cutter on her own tongue. 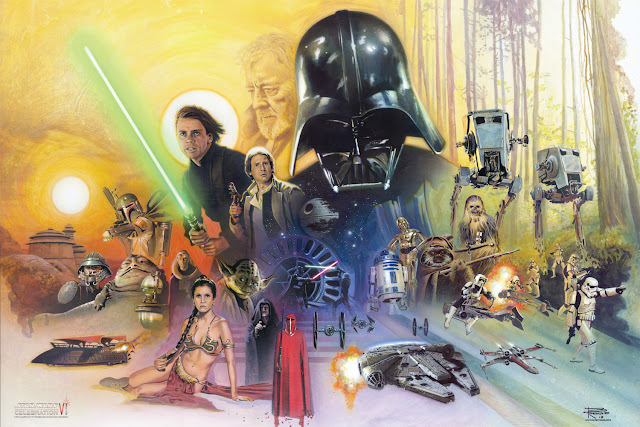 Credit goes to the filmmakers for keeping me so wrapped up in the atmosphere and story created by the film. To speak of said atmosphere and the overall vibe that the film goes for, I think there is a lot of concern as to whether this film will be “funny” in the same way the original is. For that, I can only say that The Evil Dead was not built as a humorous feature when it was originally released. It plays as a straight up horror film that happened to capture the imaginations of a drive-in horror crowd. It has since become a more humorous feature to watch, but not because of its tone. Evil Dead is the same way. 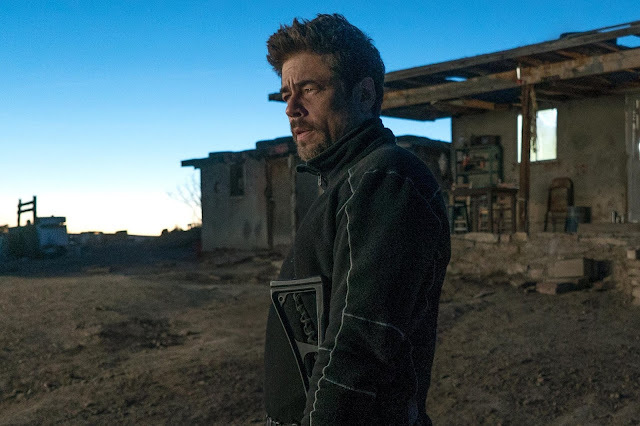 No one is trying to be funny in the film, but the mood does know how to straddle the line between deadly serious and over-the-top; most notably in regards to the very effective score by Roque Banos. Wisely, this new film chose not to have a new “Ash”. Ash is the quintessential character of the original films and this new film avoids having to deal with the comparison. Instead, we have a pretty capable cast in terms of their performances, regardless of how bad certain decisions they make turn out to be. The story also sets up a good amount of proper cause for the characters to be where they are, let alone remain in the area. Now, this isn’t the deepest character study, but there was a good amount of effort put forward to have me give a damn for these people (and really resent the one guy who not only reads from the evil book that was locked in freaking barbed wire, but tries to translate it). There may be a lack of a truly charismatic lead such as Ash this time around, but it really wasn’t until Evil Dead 2 that Ash became such an iconic character, for those who are truly concerned with this factor. To get back to the gore and nastiness of it all, I can say that that is generally not the kind of thing I go for in horror films. I am not a splatter guy and I also tend to not like seeing certain levels of mean-spiritedness. With that said, the Evil Dead films are my weakness, because for whatever reason, I get on board with what they have to offer. We see a ton of crazy effects of this film (all achieved practically, rather than through the use of CG) and it is shocking, gross, ridiculous, and kinda awesome all at the same time. And regarding the evil creatures and those who are possessed, rules generally do not apply, meaning that practically everything is possible and people suffer horrible because of it. That’s really one of my few quarrels with this film, given that it tries to establish some boundaries, rather than embrace the truly all-out mayhem seen in Raimi’s films. It is not too much of an issue however, because certain established scenarios lead to a final 15 minutes, which is full of utter horror brilliance. While the deadites may try to take the souls out of the characters in the film, this film was not a soulless production. I had a lot of fun with this new Evil Dead and I think it has to do with how no one held back. 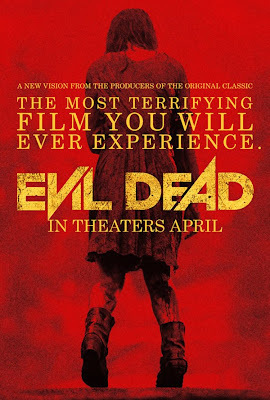 It is certainly darker, in a sense, than the first film, but having the characters take everything serious in the midst of a film that indicates its inherit craziness via the crazy camera zooms and angles, along with the ridiculous amount of nasty stuff seen, makes for an Evil Dead film that I can get behind. Maybe in years to come we can look back at this film as a camp fest (much like the original), despite the fact that it plays as an effective horror film in its direction. For now, I will easily settle for this being a worthy companion film to The Evil Dead, whose tagline described it as “the ultimate experience in grueling terror.” This new film may not be “The most terrifying film you will ever experience,” as its tagline suggests, but it is pretty damn horrific in a very good way.